Sports Illustrated put out a list of the 15 greatest college athletes of all-time, and I had no idea that some of the people on the list were as versatile as they were. We know about Bo Jackson and Charlie Ward, of course. But I had no idea that sprinter Marion Jones was on a UNC basketball team that went 92-10 when she was there. 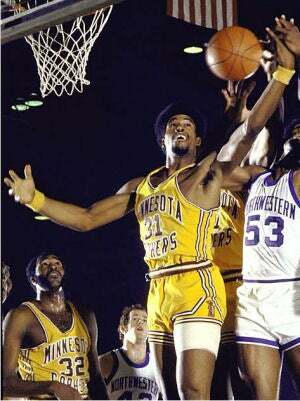 I didn't know that Dave Winfield was a stud basketball player for Minnesota. And apparently, Bob Golic was a hell of a wrestler. Here's the list, 1-15. Feel free to make your own additions and criticisms. Myself, I'd like to see Mike Cooper somewhere on the list, for his scrolling/stroking/looking-over-the-shoulder technique. I've yet to see it matched. Thankfully.